Despicable Me 2 just might be the single biggest film of Universal Studios History. That’s not an exaggeration, that is what NBCUniversal Chief Steve Burke told reporters in a recent interview (click here to read more). 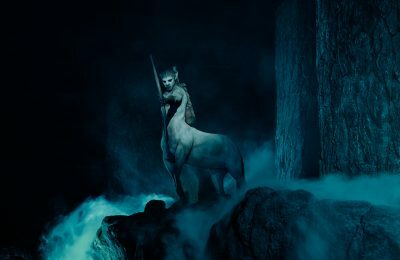 The first film was a surprise hit, and the sequel is a bonafide blockbuster, reaching $692 million dollars worldwide. The fun doesn’t end when the credits stop rolling, however. Universal Orlando brings the world of Despicable Me to life in a big way, and brings you one step closer to living life like a Minion. Despicable Me is a huge franchise for Universal Studios, both on the screen and off. Illumination Entertainment has crafted a a very successful slate of animated films for Universal, which include The Lorax, Horton Hears a Who, Despicable Me, and HOP. Universal took one look at Despicable Me, and knew right away that it was going to be a hit. Who doesn’t love Minions? It seemed a natural fit to take the Minions off of the big screen and put them smack dab in the middle of their flagship theme park at Universal Orlando. From a fun family attraction that puts you right into the world of Despicable Me, to minions roaming the streets, merchandise and even a parade, Despicable Me at Universal Orlando brings the little yellow guys to life in huge ways. 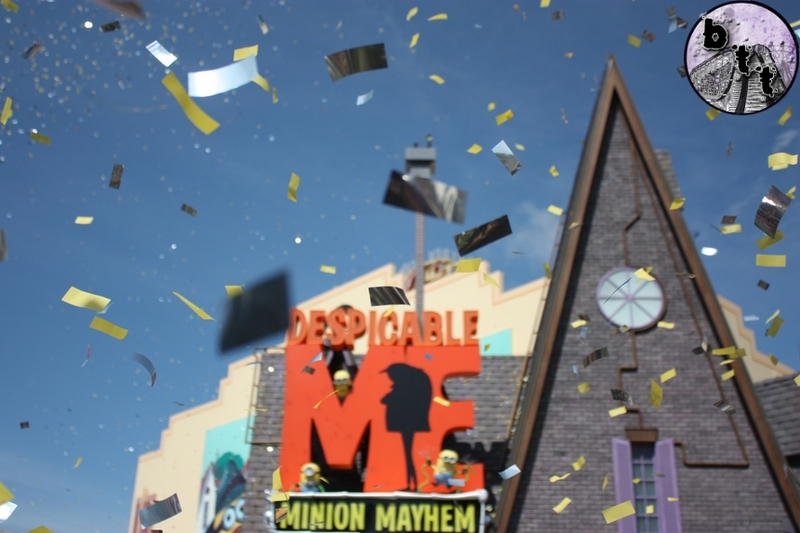 Despicable Me:Minion Mayhem is a simulator ride that uses high definition 3D and mixes it with a moving platform ride. The attraction has guests enter right through the front door of Gru’s home, complete with his giant car parked outside. The ride is actually a Minion recruiting station, where guests are turned into Minions in order to help Gru with his sinister plots…and full line of jams and jellies. The queue area takes guests through some of the more familiar areas of Gru’s home, including his living room and lab. Riders must be 40 inches to ride, but if they aren’t there are stationary seats available so that even the smaller minions can ride. Get a look at Minion Mayhem from the outside in! A larger than life way to see Gru and Crew from Despicable Me is the huge Superstar Parade. The Parade happens daily and features not only Despicable Me, but the characters from Spongebob Squarepants, Hop, and Dora the Explorer. It’s a fun break in the day from the other rides and shows, but let’s face it…the real star of the parade are the minions! The parade lasts about 15 minutes and features Gru, Minions, the girls, Vector and a group of Minion trainees. The floats also include Gru’s huge car, and Vectors airplane…thing. The parade stops periodically to interact with the crowd. 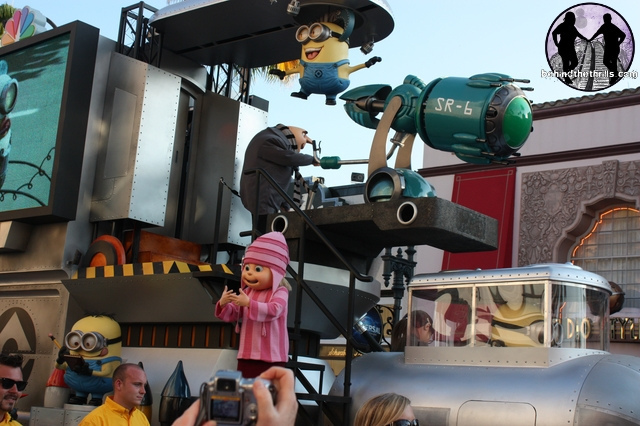 In addition to the parade, the gang from the Despicable Me float comes out and performs mini shows throughout the day. Sometimes, it’s the float and the entire crew, other times it’s a banana induced flash mob! 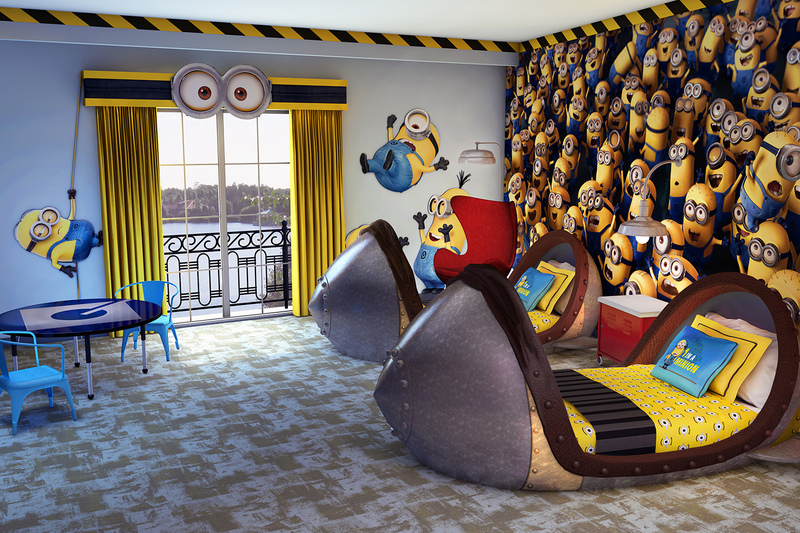 Coming very soon to Universal’s onsite hotel, Loew’s Portofino Bay are the all new Despicable me Kids Suites. 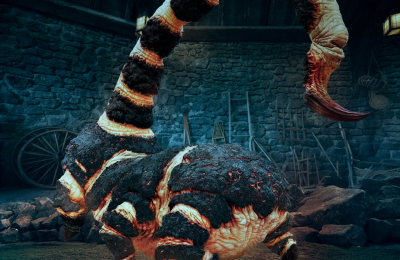 The luxurious rooms will feature Minions galore, and guests will be able to sleep in the bombs from the movie! It’s a fun way to spend the night. The rooms will be available beginning October 1st! For more information or to book your room, visit the official Portofino Bay Website by clicking here! 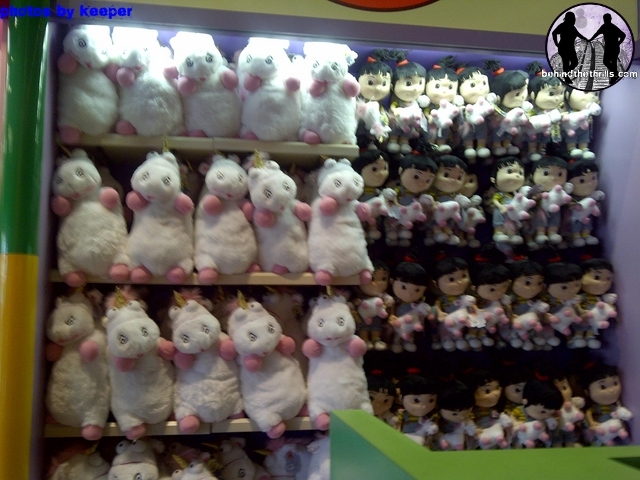 Universal also has a wide variety of merchandise from Despicable Me, including a Unicorn…and yes..IT’S SO FLUFFY! 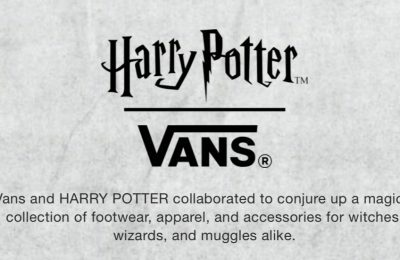 They also have specialty shirts, Minion goggles and baby jumpers. If you’re a cookie conniseur, the boxes of cookies from the film are also available, including Coconutties! Our absolute favorite item, however has got to be the fart gun! 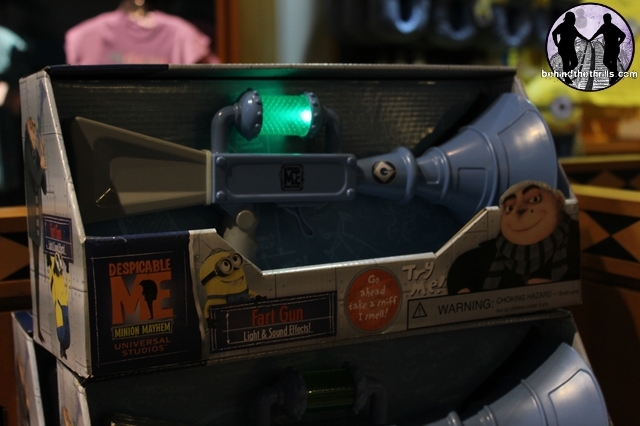 It’s a toy, but it’s a replica of the Fart Gun from the ride and movie. It makes fart sounds, and the absolute best part…it smells like bananas! We’re not sure how long that smell will last, but it’s an amazing effect on a great toy. Despicable Me is a worldwide phenomenon that will continue to grow into the next few years. With the success of Despicable Me 2, there is word that they will soon start on Despicable Me 3. If that’s not enough, then next year will see even more Despicable Me coming at you from all angles. Over at Universal Studios Hollywood, the world of Despicable Me is about to be brought to life once again when they open their version of Despicable Me:Minion Mayhem. It will be a bit different than the Orlando version, as they will include an entire “Super Silly Fun Land” area. It will feature a smaller flat ride, a few themed restaurants and of course the all new attraction. It will be opening just in time for the all new film next year that takes the little yellow banana loving Minions, and puts them into their own adventure on the big screen. Minions will feature the history of the minions and how they have helped villains throughout time. Sandra Bullock is attached to star as the main voice, and no word on Steve Carrell…but it’s rumored that this will help propel the Minion franchise after the ending of the Despicable Me story. For more information about Despicable Me at Universal Orlando, visit the official website by clicking here!